G.S. Garcia grew up in San Luis Obispo, Calif., home of the vaqueros, long considered some of the best horsemen in the world. It was from them that Garcia developed an interest in the art of making high-quality cowboy gear and at age 15, Garcia found a job as an apprentice in the Arana Saddle Shop, the finest saddle shop in all of California. Garcia seemed to have a natural talent for gear making and it wasn’t long before he opened his own shop in nearby Santa Margarita. Some of Garcia’s first customers were the Nevada cowboys who trailed cattle to California each year for wintering and he soon earned a reputation among working cowboys for making saddles that were not only pleasing to the eye, but functional as well. 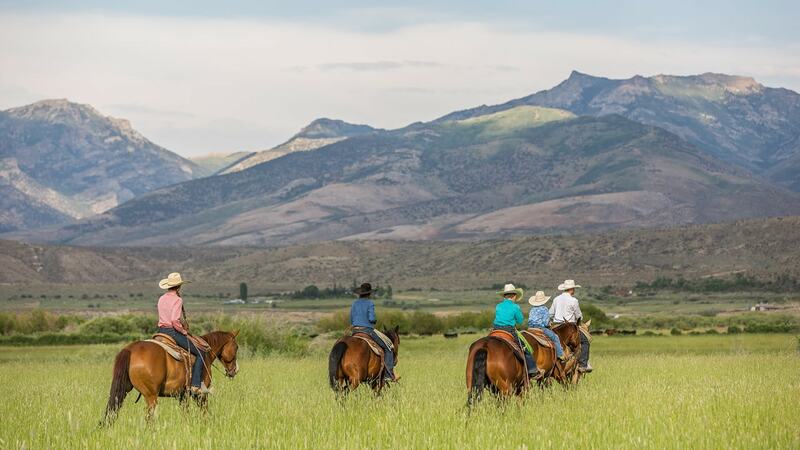 He began hearing stories about Elko, a thriving little cowtown in northeastern Nevada. In 1893, Garcia and his new bride, Saturina, came to Elko with two suitcases filled with bits, spurs, reatas, rawhide headstalls and reins. He opened G.S. Garcia Harness and Saddle Shop near Sixth and Commercial streets. Business thrived and Garcia was known to work late into the night engraving a pair of his famous spurs or putting the finishing touches on a saddle. By 1903, Garcia was filling custom orders throughout northern Nevada, which his brother would deliver by wagon. He soon had catalog orders from around the world and his impressive list of customers. Garcia’s most famous saddle was one that brought home the gold medal from the 1904 St. Louis World’s Fair. A year after winning the gold medal at the World’s Fair, the saddle won another gold medal at the Lewis and Clark Exposition in Portland, Ore., making it the only saddle in history to win two gold medals. Garcia worked hard but he also played hard and his favorite past times included chasing and roping wild horses. In 1915, he opened his own rodeo grounds east of South Ninth Street and later became known as the Elko Rodeo or Elko Stampede, the predecessor to today’s Silver State Stampede. In 1932, Garcia turned his business over to his sons and retired to Salinas, California. The sons moved the business to California six years later. Among Garcia’s apprentices was a young man named Joe Capriola. Capriola left Garcia’s in the early 1920s to go into the ranching business on the lower South Fork of the Humboldt River. 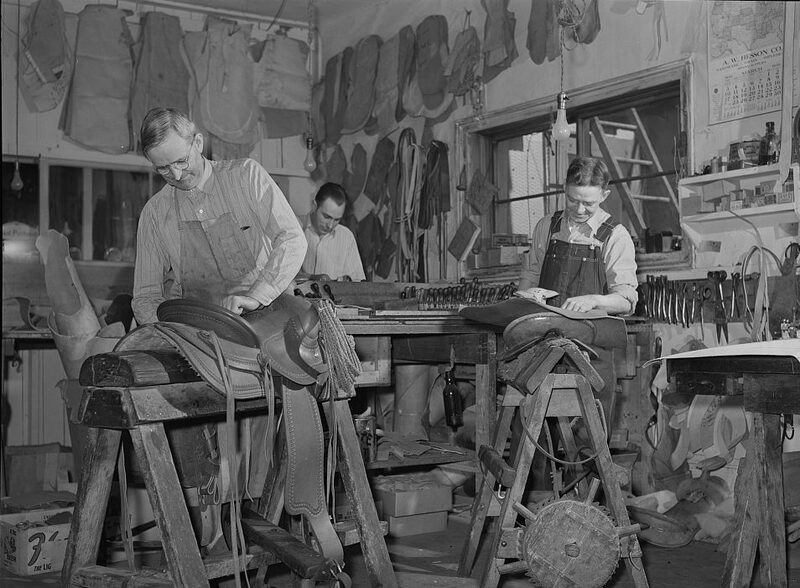 Due to an illness in his family, Capriola returned to Elko in 1924 and started his own saddle business on the 600 block of Commercial Street. In 1929, he opened J.M. Capriola Co. in an old adobe building at 500 Commercial Street. His son, Joe Capriola Jr., grew up in his parents’ shop stuffing bucking rolls, making minor repairs and learning the art of saddle making. Capriola Jr. And his wife, Rosie became partners in the business. J.M. 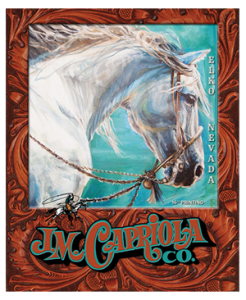 Capriola Co. became the place to buy gear for ranchers and working cowboys throughout the West. Joe Capriola Jr. died in 1947 and in 1955, Joe Capriola Sr. sold the shop to Rosie’s brother, Frank Jayo. In 1958, Jayo died of a heart attach and the shop was sold to ranchers Paul and Betty Bear, two people who were knowledgeable about the needs of working cowboys. On October 28, 1958, shortly after the Bear’s took over the business, J.M. Capriola Co. was destroyed by fire. But the young owners didn’t waste any time. They set up temporary until they opened up their new store at the same Commercial Street location in the spring of 1959. In 1972, Paul Bear retired to the ranch and sold the business to his three children Bob, Bill and Paula. 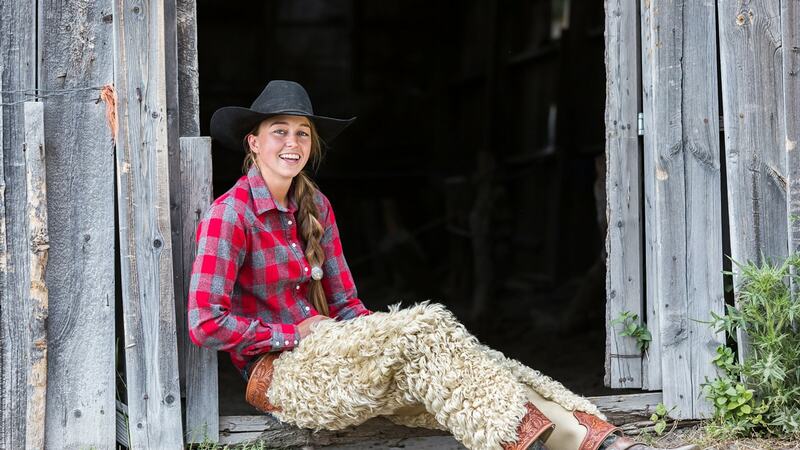 This new generation of owners kept the Capriola name and continued to carry on the tradition of making high-quality cowboy gear. In 1974, J.M. Capriola Co. was ready to expand again and added a second story to the building and also expanded its clothing and accessories lines. In 1978, J.M. Capriola bought the Garcia Bit and Spur Co. and brought the business home again. In 1985, Paula and her husband, Doug Wright, became the sole owners of the business. The shop has continued to grow over the years and provide the best quality gear for people who really use it. In 2012 Paula Wright, the matriarch of the store was tragically killed. With her untimely death, J.M. Capriola Co. was now under the operation of her husband Doug and son John. And today John has honored his mothers memory by continuing to manage the business. Today, walking into the two-story shop with the red horse on the roof is a little like taking a trip back in time. The company’s in-stock inventory now boasts more that 3000 items and mails its catalog to customers all over the globe. Many of its products can be seen and purchased on our website at www.capriolas.com or Email to orders@capriolas.com.